If you want to take to the roads of the UK on two wheels, the first thing you’ll need to do is take your CBT. If you want to take your CBT test in Brixton, we have a number of training centres in the surrounding areas that will help you get on the road. Our closest training centre to Brixton is Phoenix Motorcycle Training in Crystal Palace. This test centre is MCIAC Approved, which means they offer some of the best instruction available in the UK. Phoenix are located just two minutes from Crystal Palace station, and they provide students with helmets, jackets, boots and gloves on the day. There’s even an on-site cafe. LMRT are a long established CBT school located in Lewisham, with a good variety of quiet roads in the local area - perfect for your CBT. To the south west of Brixton, BikeWize are located in Sutton and have a large fleet of 50cc, 125cc, automatic and manual machines for you to use during your CBT test. We also have CBT test centres in Croydon, Shepherds Bush, Sidcup and Orpington. 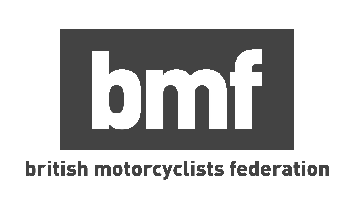 Compulsory Basic Training is the minimum level of motorcycle training you can receive before legally riding on the UK’s roads. Any UK citizen from the age of 16 who holds a provisional or full licence can take their CBT, and you don’t need to have any experience riding a motorcycle or scooter. A CBT only takes one day - you don’t need to have several lessons over the course of a few weeks - and there is no test at the end. If your instructor is happy you have shown yourself to be a safe and confident rider, you will be awarded a certificate which will permit you to ride any motorcycle or scooter upto 125cc (or 50cc if you’re 16) for two years. If at the end of those two years you wish to continue riding, you will have to take your full motorcycle test, or retake your CBT. If you plan on riding motorcycles well into the future, it makes sense to take your full test, rather than retake your CBT every two years. On the day, your CBT will be split into five parts. First you’ll be in the classroom, where your instructor will take you through the basics of handling a motorcycle, as well as basic highway code and road safety. You’ll also have your eyesight tested. If you intend to ride wearing glasses, make sure to wear them during the sight test. Once this has been completed, you’ll head outside for some practical training. You will learn how to handle your machine, both on the move and while pushing it around, before riding around set courses and performing specific maneuvers. Once your instructor is happy you can handle your motorcycle or scooter, you will move onto the final part of the day. The final part of the day will see you head out onto the open road with your instructor and another student for at least two hours. During the ride you and the other student will take it in turns to lead the convoy, so the instructor can equally assess you both. Once the ride is up you’ll receive your CBT certificate and will be able to head out on the road on your own.